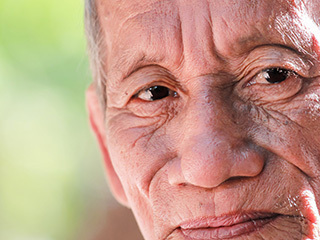 Many people have heard of macular degeneration, an age-related condition in which people suffer permanent vision loss as a result of damage to a part of the retina called macula. However, there is also a similar macular condition that also causes vision loss — even in young people. This condition, called macular dystrophy, is genetic and can produce varying degrees of vision loss. If you have macular dystrophy, It is important to understand the precise nature of your condition so that you can make smart decisions for dealing with it. The macula is a collection of cells which is found in the center of the retina, the spot at the back of the eyeball that relays images to the optic nerve. The optic nerve then sends images to the visual center of the brain for interpretation. Photoreceptors in the macula are responsible for sending information regarding the perception of colors and the central field of vision. Macular dystrophy is a result of a buildup of pigment in the macula causing the cells to lose their ability to function. This damage may cause you to lose some or all of your central field of vision while your peripheral vision remains intact, or it may render you color blind. If you suffer from central vision loss or difficulty registering colors, you may have macular degeneration or cataracts. If you test negative for those conditions, however, you may want to have your ophthalmologist check whether you have macular dystrophy. He or she may inject yellow-green dye into the veins of the eye to look for signs of the condition or check for remnants of cells that have been sloughed away by retinal disease. Electrodes can also be used to measure your eye’s ability to react to light. These tests, along with genetic testing, can help you discover if you have macular dystrophy and if so, what type. While there is currently no treatment for macular dystrophy, the fact that it tends to progress slowly means that time is on your side. Some cases even stop progressing spontaneously.